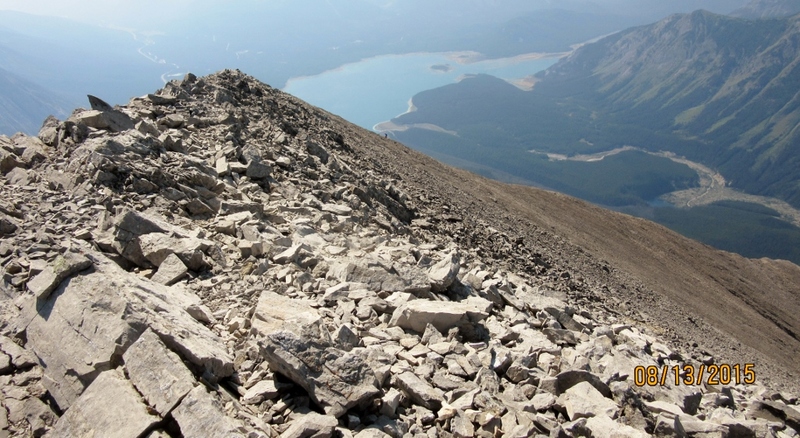 Mt Nestor is situated on the west side of Spray Lakes. 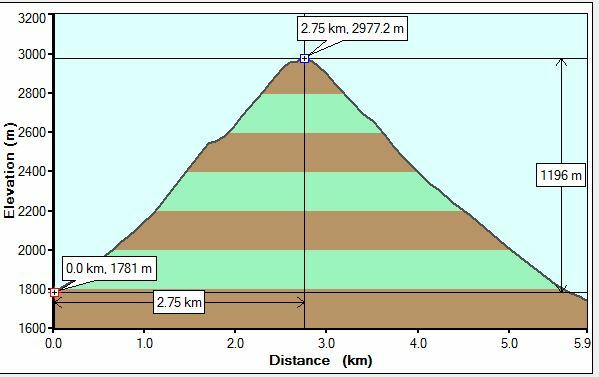 To reach the approach is a long 16 km return hike or a short bike ride. 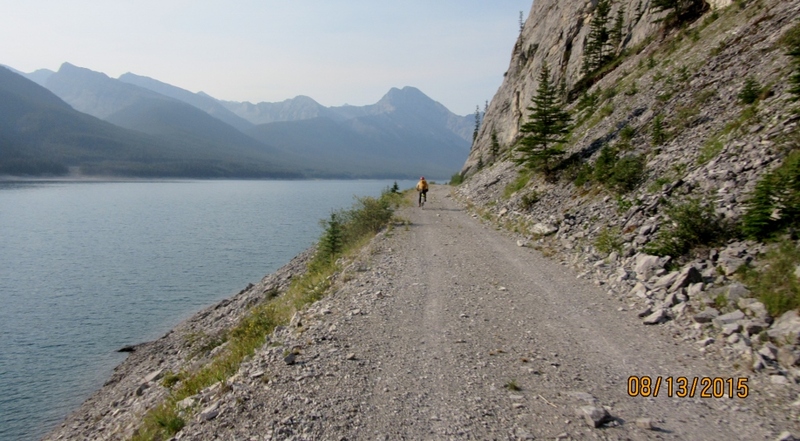 The bike ride starts at the end of Spray Lakes West Campground. Cross the Three Sisters Dam to get here. In the winter this is where the dog sleighs run from. 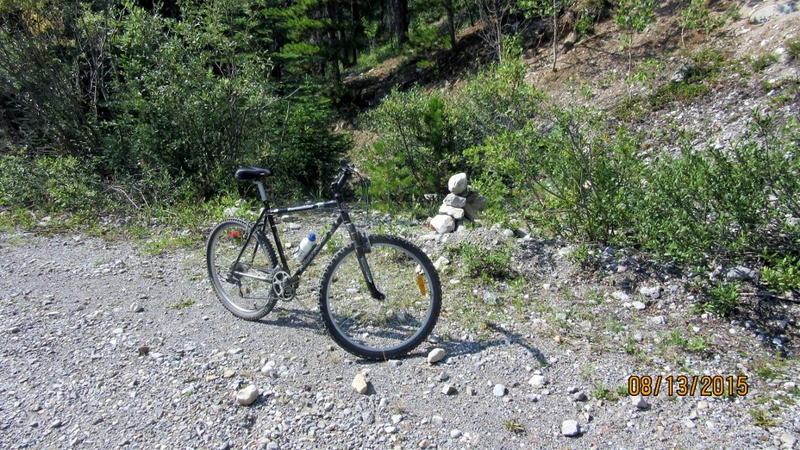 The cairn for the trail head is at about 8 km just as the gravel road makes a small “s ” turn. The ground is well beaten down by people stashing their bikes. Follow the trodden trail up through thinning trees. 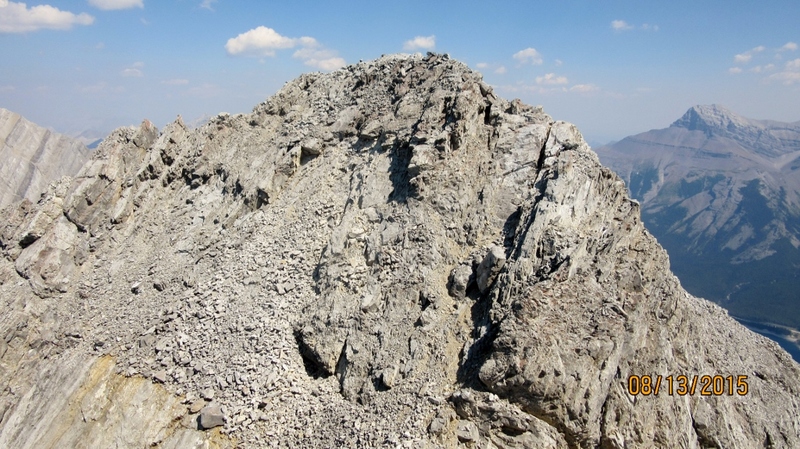 The route is obvious until a rocky prow is reached. 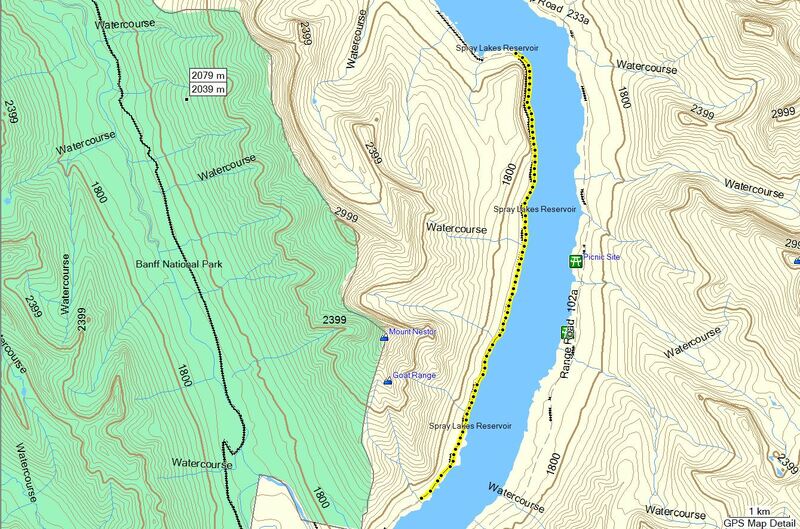 Left to the longer but less steep ( our down route ) way or right up the rocky gully. 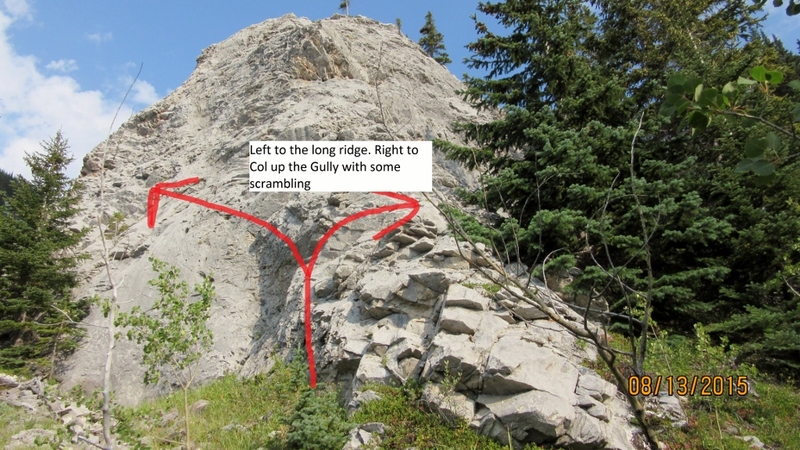 The gully route eventually narrows and some hands on scrambling is required. 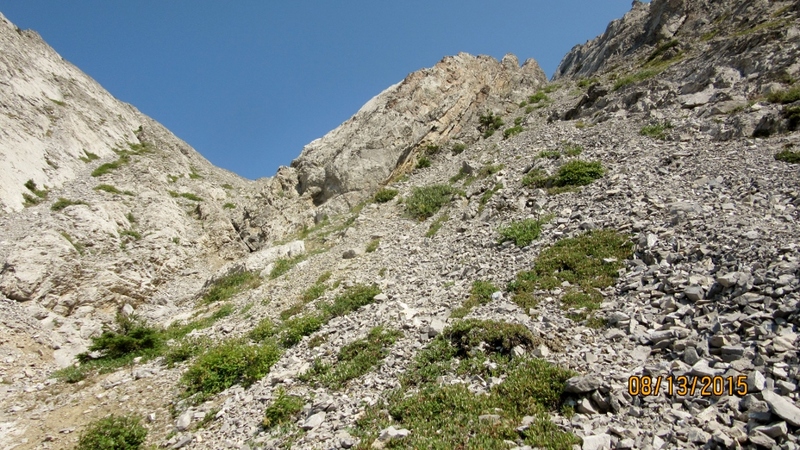 Then broadens out to reach the col with the broad gully below. 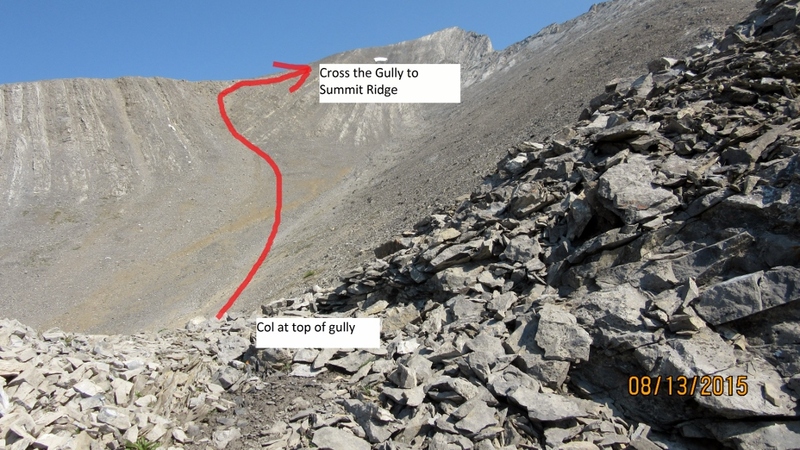 Cross the gully to attain the ridge line to the false summit. 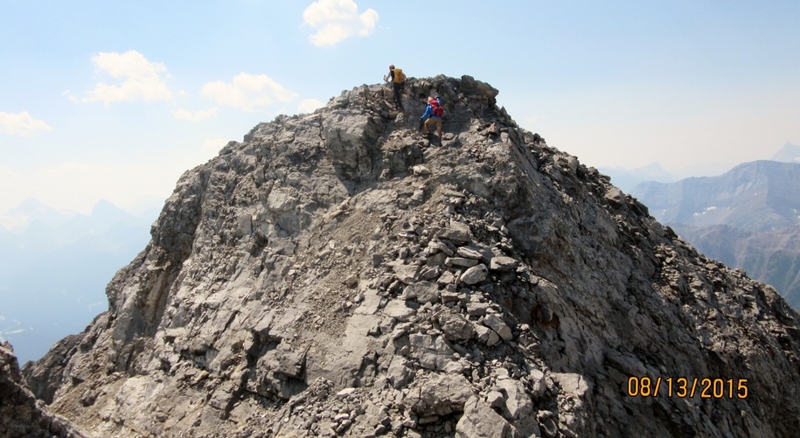 It is a fair old slog up a long talus slope to the false summit. 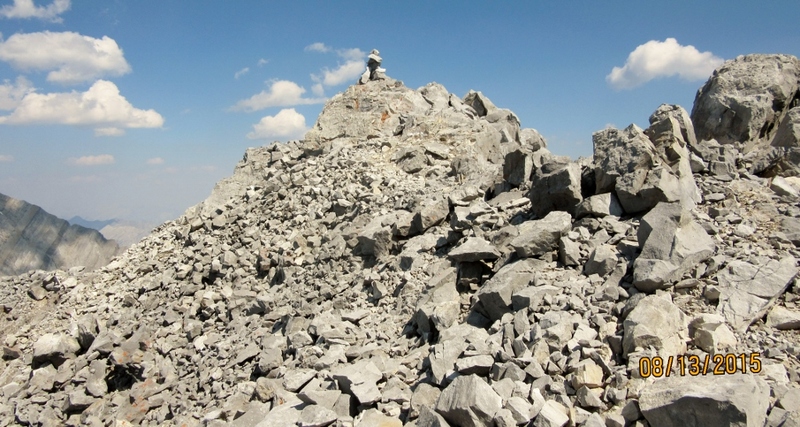 After walking along a ridge for a few minutes you reach a point where there is a small down climb to a little col and then back up to the summit with its cairn. The views are amazing with Spray lakes weaving down the valley and the Old Goat Mountain rising high above to the north. 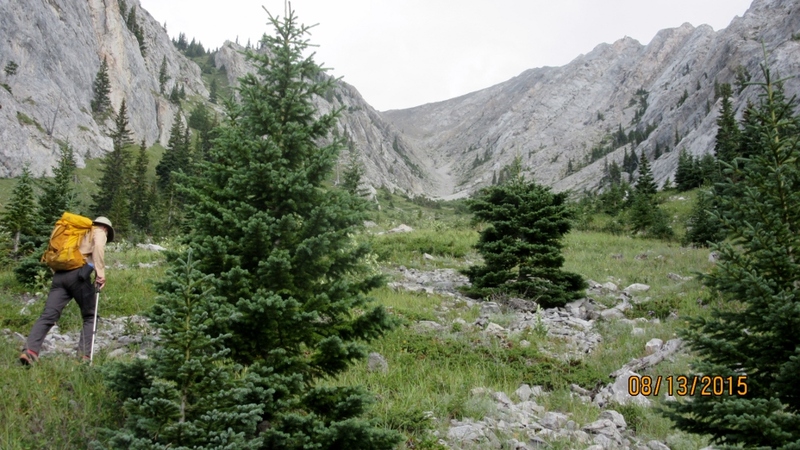 There are also some great views across the Spray Valley of Mt Lougheed Mt Sparrowhawk and Mt Buller. See the pictures in the gallery of all the views. The cairn on the West Side Road. Left goes up the long ridge. 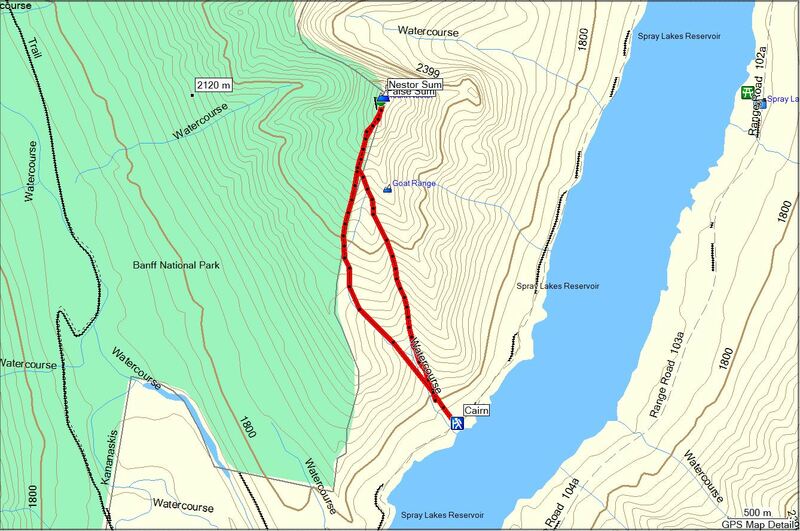 Our descent route . 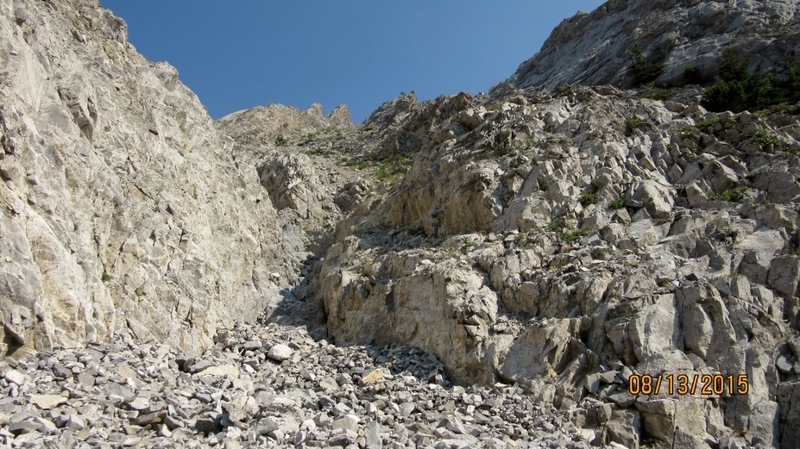 Right up the gully with a bit of a scramble before the col. The long ascent ridge falling away to the right.